Amazon – Women’s Lightweight Waterproof Nylon Crossboby Shoulder Bag Casual Messenger Bag with Zipper Pockets (Rose Color Only) Just $7.49 after Code (Reg $14.99)! 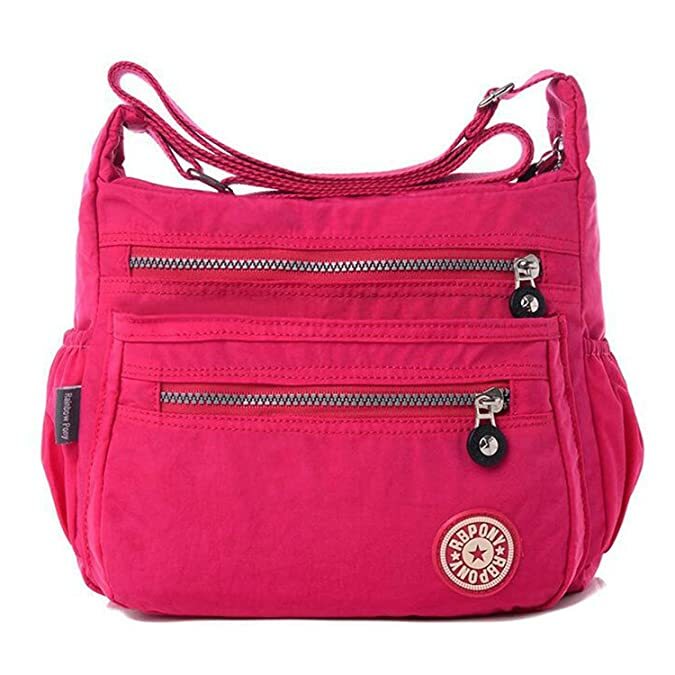 Score the Women’s Lightweight Waterproof Nylon Crossboby Shoulder Bag Casual Messenger Bag with Zipper Pockets in “Rose” only on Amazon for $14.99 – $7.50 with promo code PF7TS6AP = just $7.49 with FREE Prime shipping or free shipping with $35 purchase, plus FREE returns! You can order multiple bags at the discounted price in the SAME transaction!